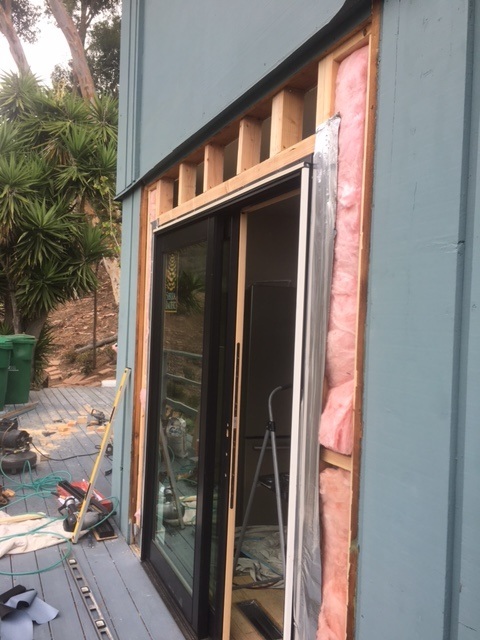 A home in South Laguna Beach got an old 8'x8' single pane sliding glass door removed and replaced with a new 6'x6'8" slider door (wood with aluminum clad exterior). 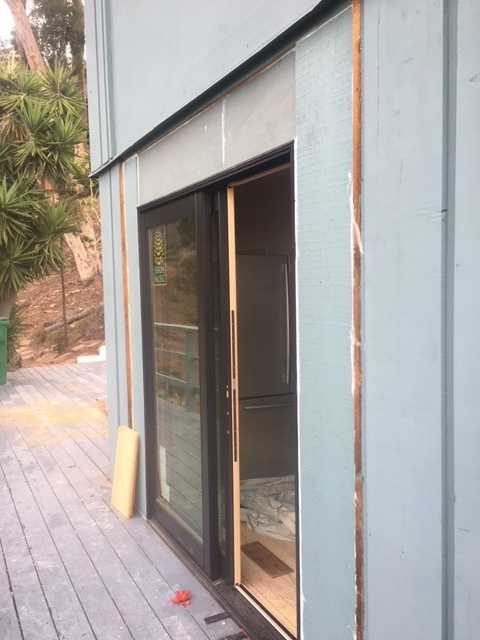 In order to accomplish this, the old door had to be removed. 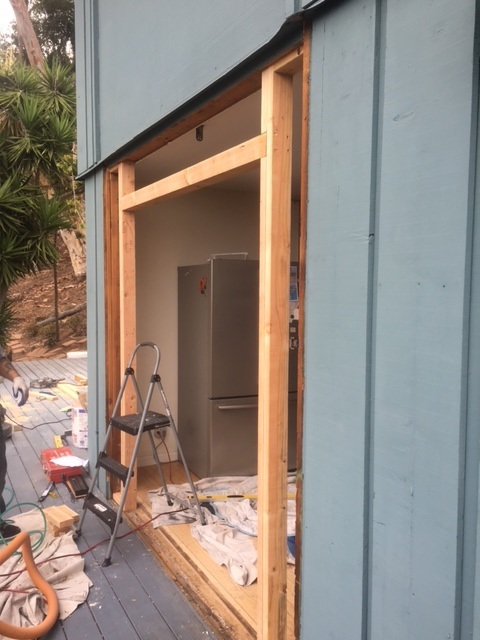 The larger opening had to be reduced in size, by the installation of additional wall framing at the sides and top of the new door. 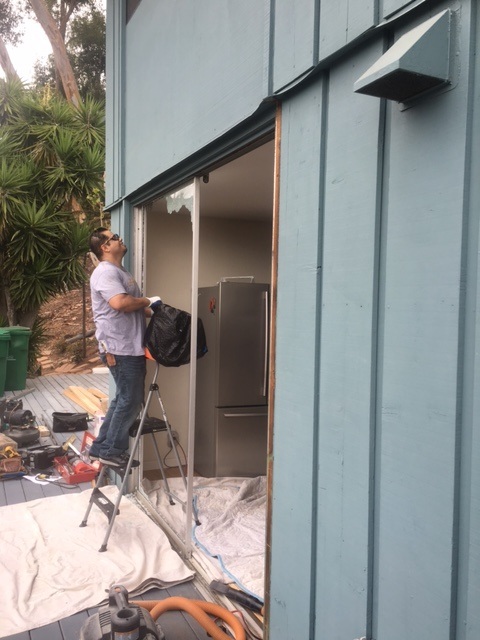 The walls were insulated and opening was flashed as necessary for weather as well. 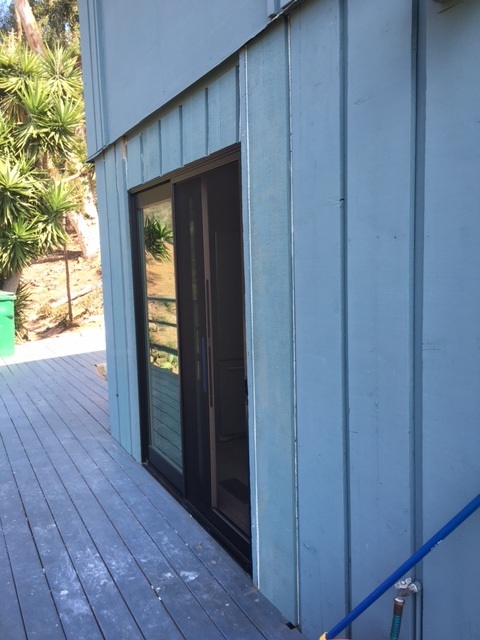 Including additional siding and trim and interior drywall as well. 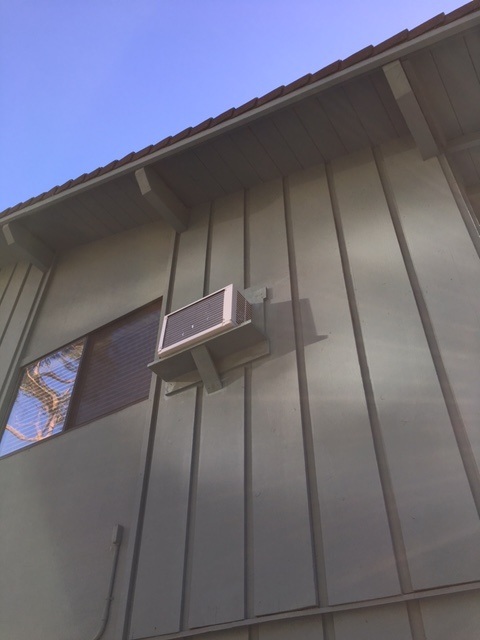 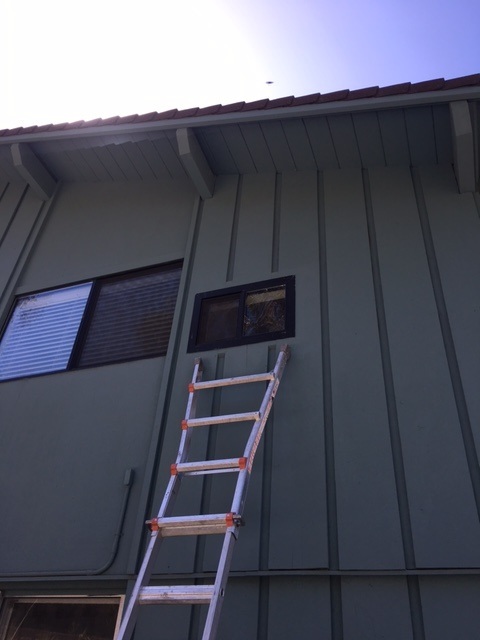 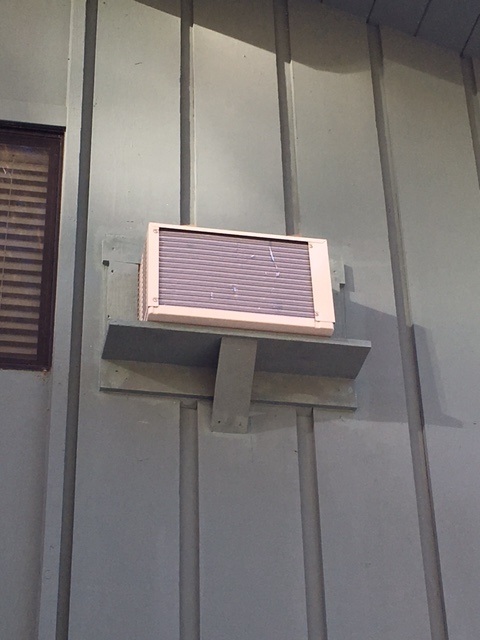 The same house also had me install a window/wall mounted Air Conditioning A/C unit in an upper level bedroom.